POWER CLEAN-[LF] is a very effective metal degreaser & cleaner that removes Oil, Grease, Dirt e.t.c from metals surfaces very easily and quickly with strong rust prevention. Low/No Foam will be generated when used with Hi-Jet spray cleaners. 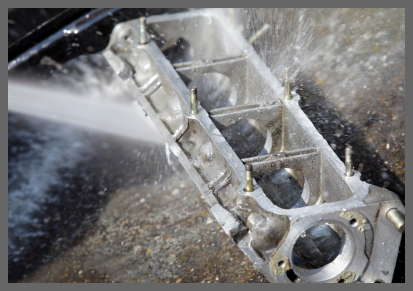 Effective Degreaser for High Jet Spray applications. Low/No Foam Spray Cleaner! POWER CLEAN - LF is a low-foam cleaner and the best industrial degreaser. It has been specifically formulated as a high jet spray cleaner for use with high jet spray machines very effectively without generating any foam at all. It is safe for use on all metals and non-metals and requires no extra steps for most applications. This no-foam cleaner is best used in a cleaning application where the most powerful cleaning action is desired for different types of metals to be cleaned in the same parts washer. POWER CLEAN - LF is a low-foam cleaner, slightly alkaline pH degreaser/cleaner for use in manual, ultrasonic, high jet spray wash, immersion and many other machine cleaning applications. This no-foam cleaner is a safe-handling detergent that can be used for non-corrosive cleaning. POWER CLEAN LF aqueous/alkaline degreaser is supplied as a liquid concentrate. 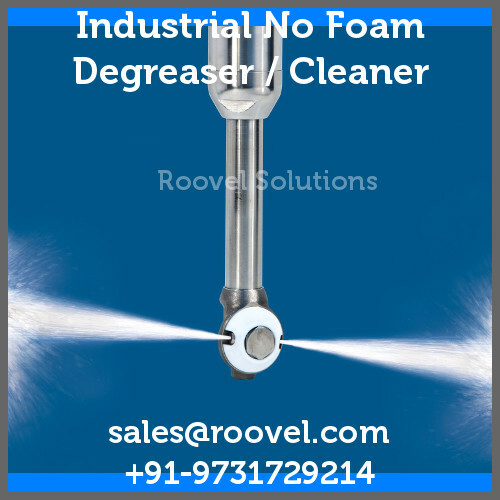 You can use this low foam cleaner diluted down with water 1 - 15% concentration by volume based on contamination at an operating temperature range of 40 to 70 degree Celsius. 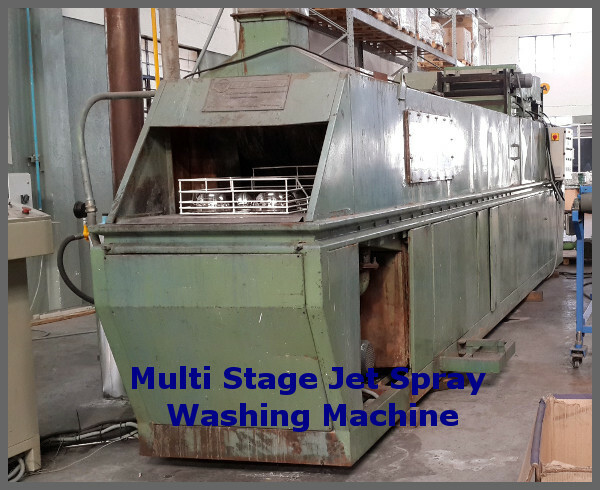 Jet spray agitation is used to enhance the cleaning action. Filtered hot air may be used to dry out the parts cleaned by this high-jet spray cleaner. Lfater and Lithium grease, dirt and dust. We tried many product unsuccessfully. POWER CLEAN LF works on multi metals and were able to have one single solution for all our engine parts cleaning needs. We were surprised to see how fast our automotive components were cleaning using this spray degreaser / POWER CLEAN LF in our Multi Stage Spray Cleaning washing machine. This saved us lot of time cleaning the carbon deposits from the engine components. we used to use Kerosene and rub on the parts for hours. Now it just takes minutes to clean the same components using POWER CLEAN LF.